At CK Business Consultants, Inc., we respect and value key business and professional relationships. Business owners looking to sell a business or to acquire are beneficiaries of our affiliations. We expand capabilities through well-established networks of contacts and resources, as we work in close cooperation with parties important to clients’ and customers’ best interests. We build and nurture affiliations to better serve. CK Business Consultants, Inc. markets its companies nationally and internationally. We have developed strategic relationships with a select group of professional M&A Advisors who provide a presence in nearly every market in North America. 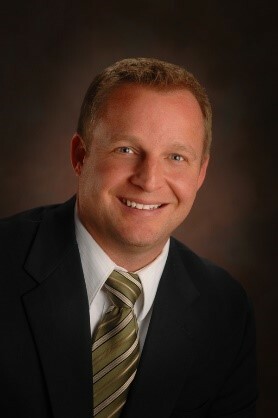 With more than 25 years of successful experience in selling businesses, Jim adds further depth to the leadership team. A Certified Business Intermediary, he too has achieved the highest level of accreditation in the industry. Jim has owned more than 15 businesses, which gives him first-hand experience in the manufacturing, marketing, publishing and international trade sectors. Jim is a member of the M&A Source, and a fellow and past President of the International Business Brokers Association (IBBA), the profession’s largest trade association. Jim also has provided expert-witness service in a variety of court cases relating to business transfers. 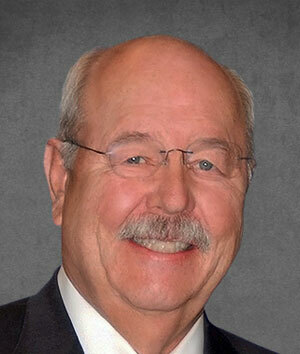 Prior to founding The FBB Group, Ltd. in 1982, Ron practiced law with a 175-member law firm in Chicago. He has a CPA Certificate (Illinois), is a licensed Colorado Real Estate Broker, is licensed to practice law in Colorado, and has a FINRA Series 79 license. Ron is also a Certified Business Intermediary (CBI) and a Merger & Acquisition Master Intermediary (M&AMI), the highest level of accreditation in the industry. John is a petroleum engineer, holds an MBA and the Mergers & Acquisition Master Intermediary certification. His early career included work at Fortune 100 companies where he was active in acquisitions, valuations, management, and strategy planning. He owned a start-up distribution business and grew it to nearly $15M in revenues before selling to a strategic acquirer. John is a founder and managing partner of IBG Business, The Oil & Gas Advisor and BluestemUSA, complementary firms which work together to provide business owners with unsurpassed acquisition and divestiture services as M&A brokers and advisors. 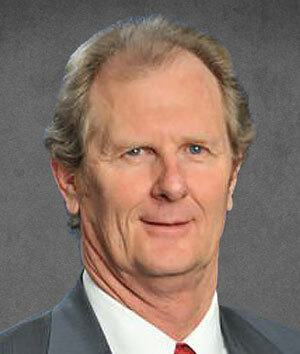 He has been a full-time M&A Broker & Advisor for three decades. John received numerous professional distinctions, such as the The M&A Source’s Darrell Fouts Award for visionary leadership and contributions, and the Tom West and Chairman’s Awards from IBBA. The US Small Business Administration awarded John as “Financial Services Advocate of the Year” for his state, and was finalist as Tulsa’s Small Business Person of the Year. 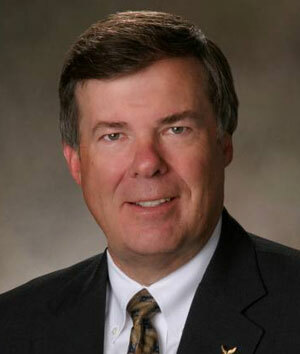 John served as IBBA’s President and Chair of The M&A Source. Ron is the Chairman and Principal of ABI Business Sales, Mergers & Acquisitions, which was established in San Ramon, CA, in 1984. He has been the intermediary in over 100 transactions since entering the profession in 1991, and has managed hundreds of additional transactions for his associates. Graduating from Long Beach State University with a degree in mathematics, he was a founding principal of Onyx Associates (a “sister” M&A firm to ABI, now incorporated under the existing ABI banner). 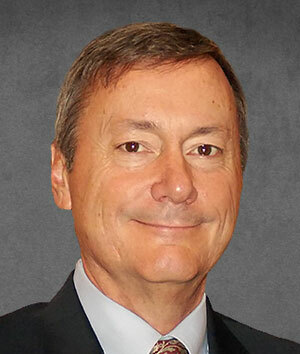 Ron has served 12 years on the Board of Directors of the California Association of Business Brokers (CABB), and spent two terms as CABB’s President as well as Chairman of CABB’s Education Committee, Governmental Relations Committee and Nominating Committee. He has garnered professional recognition nationwide, and is a two-time recipient of the “CABB President’s Award”. Ron served as the 2007 Chairman of the International Business Brokers Association (IBBA), the world’s largest professional association of business brokers and M&A intermediaries, and has chaired the IBBA’s Affiliates Committee, Conference Planning Committee, Finance Committee and Nominating Committee; he is now serving his eighth year on the IBBA Board of Directors. Ron teaches IBBA course 301 – Introduction to Mergers & Acquisitions, and is a frequent contributor to business brokerage professional journals, publications and websites. His leadership roles in the IBBA and the CABB have added extensively to his network of highly skilled dealmakers and private equity groups, continuously enhancing the array of new ideas for marketing and selling businesses. 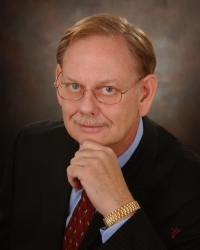 IBG Business, The Oil & Gas Advisor, & CK Business Consultants, Inc.
Gary is a Professional Intermediary and Business Appraiser specializing in the sale and transfer of oil and gas related mid-market companies since 1976. Gary has attained the professional designations of Certified Business Intermediary (CBI), and Merger and Acquisition Master Intermediary (M&AMI) with the International Business Brokers Association (IBBA) and the M&A Source, the world’s largest international organization of experienced, dedicated Merger and Acquisition Intermediaries representing the middle market. Gary is also a Certified Machinery and Equipment Appraiser/Broker (CMEA) with the National Equipment & Business Brokers Institute (NEBB). Gary is the recipient of several prestigious awards including Fellow of the IBBA and M&A Source, the IBBA Chairman’s Award, and the Tom West Award presented by the International Business Brokers Association in recognition of years of communicating and promoting the goals and ethics of the IBBA and the business brokering profession. Gary is a published contributor for industry publications and has been a guest speaker at industry conferences throughout the country. 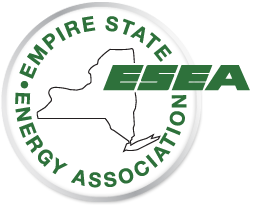 Gary has been designated an Industry Expert in the oil & gas field by Business Brokerage Press. A graduate of Albright College, Gary is an active member of the M&A Source www.masource.org serving as secretary of the Board and as Chair of the Credentialing Committee. 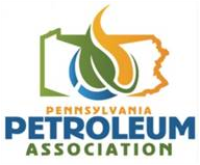 Gary has served and/or is currently serving in leadership positions on a number of boards and organizations including the National Propane Gas Association (NPGA), IBBA, the Church of the Resurrection Planning and Finance Committees and the Wolf Twp. Planning Commission. Gary is married with 3 daughters and is an active Rotarian. There is a common thread among people who have had the opportunity to work with Rocco: that they want him to stick around even after the deal is done. Some say it is his uncanny ability to see around the corner and warn of a potential pitfall. Others say it is the tenacity he brings to everything he does, especially for his clients. And yet others claim it is the calm, sensible and reassuring way he will walk a buyer and seller through even the most difficult negotiations. For over 22 years, Rocco has led NEBC’s clients through the fulfilling, challenging and sometimes intensely personal acquisition and divestiture process. He is a credit to his profession, having received the highly coveted CBI designation and named a fellow of the International Business Brokers Association (IBBA). Rocco also sits on many industry boards and presents regularly to trade groups of all kinds. In addition, and perhaps key affirmation of his worth to the companies he has guided, he serves on the Board of Directors of several of those same companies. Rocco Pezza will bring intellectual integrity and a proven process approach to each opportunity-and will be successful in helping buyers and sellers realize their personal and professional objectives. Ed Telling specializes in providing professional merger and acquisition expertise to privately held businesses, possesses experience from hundreds of successful business transfers, and is a regular speaker and writer in the brokerage industry. The Telling Group, Ltd. is a full service company with primary focus on the following areas: Apple Program ($3 -$10 million in business value), Gold Apple Program ($10 – $75 million in business value), and business appraisal. Scott founded Cornerstone Business Services, Inc. in the economic tumult of 2001 and celebrated its 15-year anniversary in 2016. He didn’t survive some of the industry’s most trying years by chance. He did it by adhering to one simple philosophy: Honest conversations, superior results. Today Cornerstone is one of the largest lower middle market firms in Wisconsin. Operating from offices in Wisconsin and Iowa, its associates have completed several hundred million in sales. The company fields worldwide interest in client opportunities and has led transactions with buyers and sellers based in Europe, Asia and Russia. A thought-leader in the industry, Scott developed the Cornerstone process to offer investment banking M&A level services to the lower middle market. The result is a closing rate that’s more than double the national average. Scott has authored numerous articles on M&A best practices, and his work is syndicated in regional publications. He is a sought-after expert on the Midwest M&A market and has been quoted in some of the nation’s most respected newspapers including the New York Times, the Chicago Tribune, and the Los Angeles Times. As a speaker, he has engaged audiences from national organizations to local trade groups and international delegations. Scott’s diverse background includes entrepreneurial endeavors, management, finance, and marketing. He has operated small start-ups and worked with international corporations. He is a graduate of the University of Wisconsin – Whitewater. Scott and his wife Cassie live in Green Bay with their three children, Emily, Drew and Aubrey. Bryce DeGroot has been President of Compass Advisors since 2004 where he leads the M&A process for privately held companies across the country. Bryce served on the Board of Directors (2013-2015 term) of the M&A Source, an international association of more than 300 M&A professionals. He is a Merger & Acquisition Master Intermediary (M&AMI) as granted by the M&A Source. He also holds a Certified Business Intermediary (CBI) designation as granted by the IBBA. He is a Certified Machinery and Equipment Appraiser (CMEA) and he has held an active real estate license in Montana since 2005. Bryce graduated with a Master of Business Administration (MBA) degree from Heriot-Watt University. He has guest lectured at Montana State University and his writings have been published by numerous publications, including the National Association of Certified Valuation Analysts (NACVA). 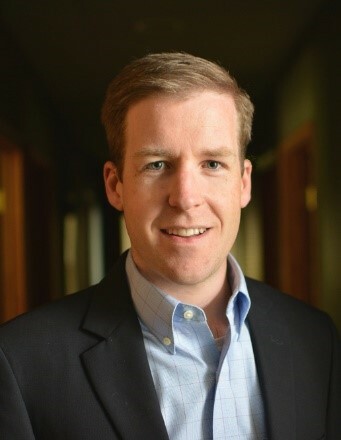 Bryce is a third-generation merger and acquisition advisor. The Williamsport/Lycoming Chamber of Commerce is in its 131st year working on behalf of businesses in Lycoming County. You will find that the Chamber has much to offer businesses in our community. The organization not only provides general Chamber services, but we are also the agency for economic development in Lycoming County whereby we keep in close contact with our local, state and federal leaders informing them of what is of importance for businesses in our community. I wanted to compliment you on your professionalism on our package. You are far and above anything we have seen out there.